True Detective returns after a 4-year hiatus. FuseFX had the privilege of shooting hundreds of driving comps utilizing their proprietary FuseFX driving rig. Approximately 400 shots were done for the series and of those, over 200 were Car Comp shots. The shoot was supervised by FuseFX’s VFX Supervisor John Heller. John worked with the production team from March 2018 to August 2018. VFX work began immediately in September and will be completed in February 2019. “The most exciting part of this show for me is simply being involved in such an excellent property for HBO. The quality of production, story and the people involved are all top notch. 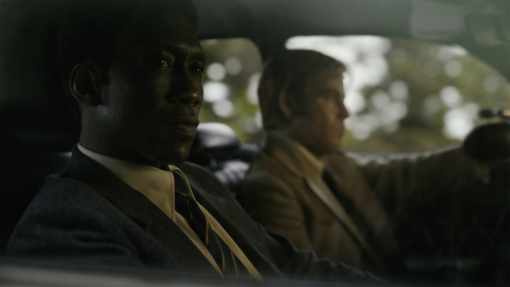 True Detective’s Groundbreaking Season 1 changed television as we know it. I jumped on the chance to work at the highest level and meet the quality of expectations on a premium show. 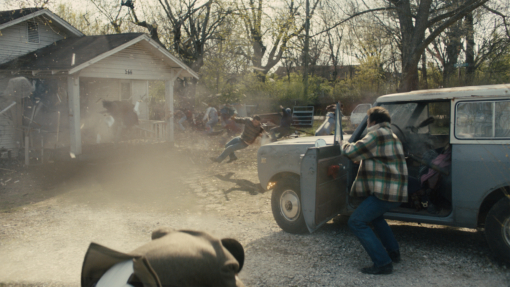 Why do you feel FuseFX is an ideal VFX Partner for this show of True Detective’s Caliber? The highest quality shows deserve the highest quality visual effects work. FuseFX provides the type of personal care and attention found in a boutique company while providing a full range of the best quality visual effects — with excellence due to our in-house talent, robust pipeline, and technology. True Detective is an American crime drama television series anthology created and written by Nic Pizzolatto. The series, broadcast by the premium cable network HBO in the United States, premiered on January 12, 2014. Each season of the series is structured as a different, self-contained narrative, employing new cast ensembles and following various sets of characters and settings. FuseFX is an award-winning Visual Effects Studio providing visual effects services for episodic television, feature films, commercials, and VR productions. FuseFX founded in 2006, employs 300+ personnel across three studio locations: our flagship office in Los Angeles, CA, New York City, and Vancouver, BC. Next readingThe Orville – Creating an nearly 8 Minute Space Battle Spectacle!